So last month’s rumor de jour on the release of Google’s cloud storage platform clearly didn’t pan out (to wit, that GDrive would launch the first week of April). Now the folks over at The Verge have stumbled upon something a bit more concrete, and it reveals that Google Drive is likely to launch with a full-fledged API and partners that have already integrated it into their own products. The news comes via Lucidchart, a diagramming and flow-chart creation company. Earlier today a link briefly went live (and then was hurridly removed) that allows signed-in customers to link their Lucidchart accounts to Google Drive; see the screen cap below. Presumably, that would have allowed your charts to synq automatically with your cloud storage. 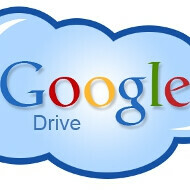 Seeing a product that is clearly ready to launch Google Drive integration suggests that we really are getting close to the launch of Google’s long-fabled Dropbox competitor, but perhaps more importantly it suggests a full-fledged API will be available to developers (and clearly is already available to some partners). This should mean that GDrive can be utilized by app developers, and should open up a host of new cloud storage options for mobile users of all stripes. I want to be able to lose an Android phone, break an Android phone, upgrade to a newer Android phone, and then simply login with my GMail account to restore all of my conversations, all of my free and paid apps, all of my settings, and all of my organized home screens/widgets to a different device. And not just restore any one, specific set of items because I've found some secret app, I've paid for a monthly service, or downloaded the special, proprietary software provided soley by my manufacturer. So, kinda like the iPhone. Please catch up, Google.